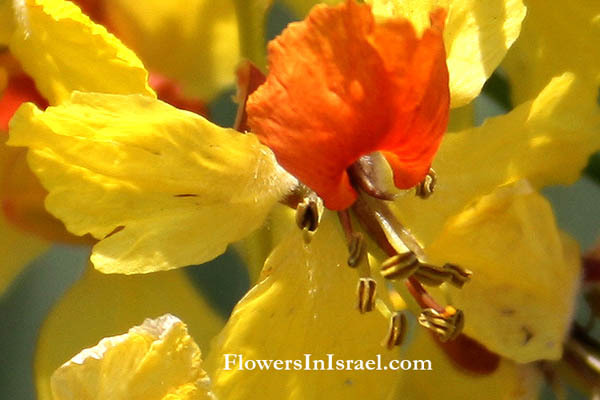 Scientific name: Parkinsonia aculeata L.
Parkinsonia, named after John Parkinson (1567-1650), Herbarist to Charles I and was noted for the garden he cultivated in London. aculeata, with prickles or stings, spine-like. 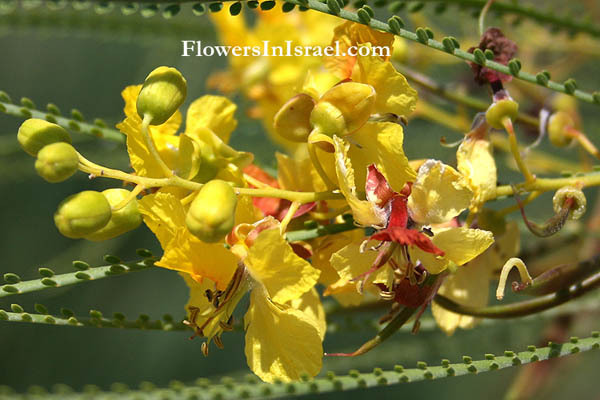 In the Old Jerusalem souvenir shops 'Crowns of thorns', made from branches of the Parkinsonia aculeata, are sold with a 'certificate of origin'. 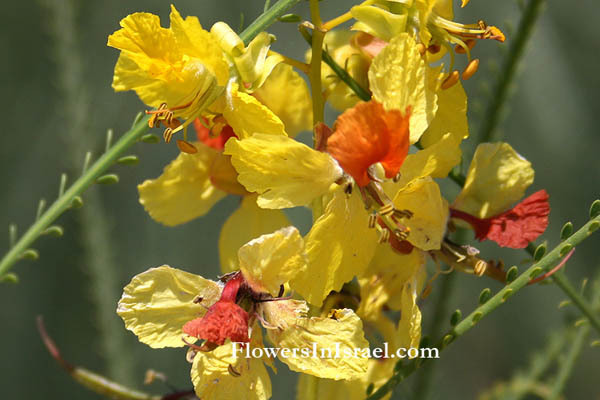 The Parkinsonia aculeata ia an invasive tree of American origin.